I love data and information. I am motivated by the impact of information on decision making, especially as it relates to automated decision making. 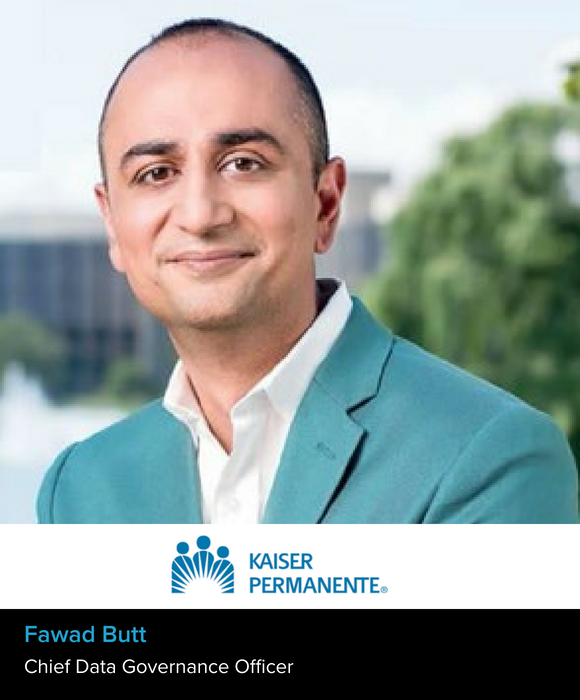 I came to Kaiser Permanente to help develop and implement a robust data management strategy and program. Prior to joining KP, I was the Head of Global Data Strategy at a financial services institution. I have a number of mentors and friends who I use to solicit input and guidance. These folks tend to come from diverse backgrounds and have global and local experiences. I am currently focused on helping transform the Analytics infrastructure and processes at KP. As a company we are focused on leveraging our data to help deliver the best patient and member outcomes at the most affordable price, and analytics has the potential to help us improve both outcomes and cost structures. People are more important than technology. The amount of research and investment in the data and analytics space is truly transforming our access and understanding to A/I and other automation. I believe that as a result, humanity will benefit in ways we have yet to realize. Be multi dimensional i.e don't just learn about the tools and technology, but also learn softer skills such as storytelling, change management etc.